Scratching gets a glamorous touch! 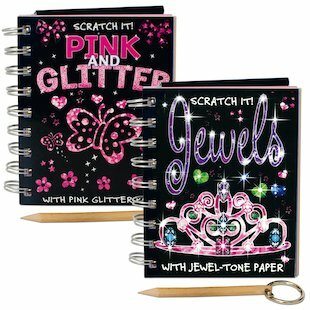 Use glitter effects and jewel-tone papers to create designs that always shimmer and shine. There are times when ordinary scratch designs just aren’t enough: when you want to create something extra special. Whether you want to scratch the crown jewels or glitter up some pretty pink things, this pack has everything you need to give your work that extra bit of dazzle.